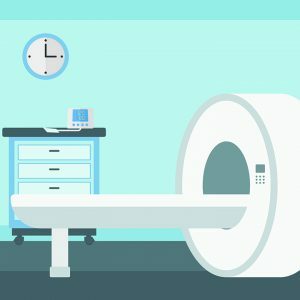 As anyone who has been around medical imaging for any amount of time can tell you, the latest headwind is the same as it’s seemingly always been: reimbursement cuts. While this comes as no surprise, the magnitude of cuts and actual effect it will have on the imaging industry in the foreseeable future is the subject of much debate within the industry. To be sure, 2014 promises to be another year of soul searching as imaging operators, especially those more susceptible to Medicare reimbursement risks, struggle to offset fairly drastic cuts in reimbursement that are happening in 2014. See the full article for Figure 1, which includes a small sample of common CPT codes with corresponding 2013 and 2014 Medicare Physician Fee Schedule (“MPFS”) reimbursement, as reported by the American College of Radiology. This data reflects the technical component only, and includes all the known impacts to reimbursement. Based on our review of this information, approximately 483 CPT codes are receiving less technical reimbursement in 2014 than in 2013, while 64 CPT codes are receiving a higher level of reimbursement. Medicare reimbursement under the Hospital Outpatient Prospective Payment System (“HOPPS”) in 2014 continues to be impacted as well, as shown in Figure 2 (source: The Advisory Board company). Many HOPPS payments had already been reduced in prior years (e.g. 25% reimbursement decrease for APC 0331 in 2013). Declining HOPPS imaging reimbursement should come as no surprise, as the Medicare Payment Advisory Commission (“MedPac”) has repeatedly recommended to Congress that reimbursement for outpatient services should be aligned or equalized across the various outpatient settings. The declining HOPPS payment trend, and it’s impact, will be interesting to follow, as overall imaging equipment reinvestment has been waning in recent years. Continued decreases in reimbursement should be an additional disincentive for hospitals to reinvest and replace expensive imaging equipment, unless imaging equipment prices come down. The rationale behind the continued declines in reimbursement from Medicare is believed to be a reaction to the phenomenal growth in imaging services since 2000. Figure 3 presents the growth in volume of physician fee-schedule services from 2000 to 2011, and was taken from MedPac’s Data Book published June 2013.